How many time you waste for rewriting your invoices to system. Think about that for a moment… Now imagine that system will be doing that automatically for you. Solution to this is AMODIT Invoice OCR. 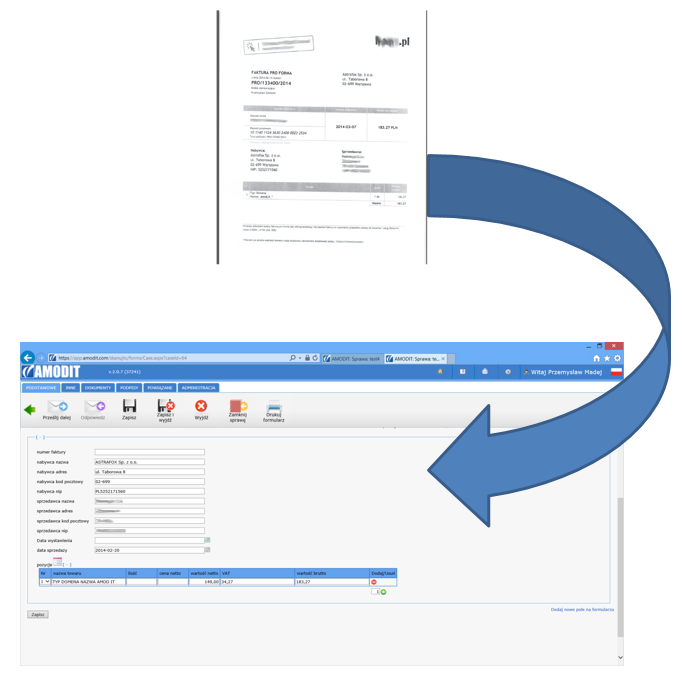 AMODIT by using OCR function can fill invoice without user intervention. Only thing what he has need to it is scans of invoices. ... and after a while your case in AMODIT will be automatically filled. Now think how much time you can save when you get AMODIT Invoice OCR.